Michelle graduated from Trinity College, University of Dublin, Ireland in 1991 with an honours degree in Sociology and German, before training as a journalist. She then worked as a journalist for newspapers and magazines (both political and lifestyle) for more than 20 years, in Australia, Britain and Ireland. Her most recent staff position was at The Canberra Times, as editor of the Saturday news review and analysis section. Michelle joined the Faculty of Arts & Design at the University of Canberra as a Teaching Fellow in Journalism & Communication in 2011. Her Phd Communication thesis is currently under examination, with results expected any day. 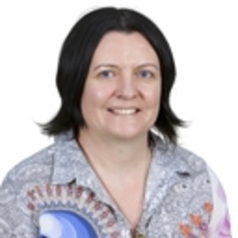 Her doctoral research topic is the Australian print media's reporting on the Northern Territory Emergency Response 2007, between its announcement and enactment.